An extra phone battery is never excessive, especially if you are taking off for a long and remote trip. 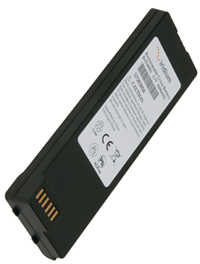 This standard capacity Iridium 9555 Li-Ion rechargeable battery can be very handy in extreme situations. It provides Iridium customers with up to 3.2 hours of talk time and up to 30 hours of standby time in full network coverage.